Although the Japanese company Honda is widely known as one of the largest automobile manufacturers in the world and also the largest manufacturer of motorcycles, it is increasingly on the front edge of technological innovation outside the automotive world. The company’s investment in research and development landed it on the “Top 20 R&D Spenders” list that includes five other automakers but representatives from other industries as well. Based upon the innovations Honda has shared publicly, it’s using some of this R&D budget to get ready for the 4th industrial revolution by using AI and big data to not only design safer and more personalised autos, but also create robots. 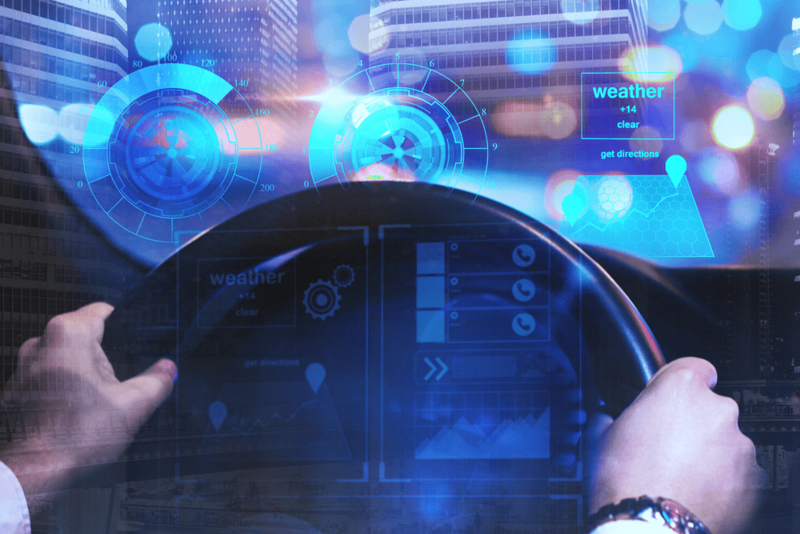 With the tremendous amount of data that’s created from a wide variety of sources including sensors on cars, customer surveys, smartphones and social media, Honda’s research and development team uses data analytics tools to comb through data sets in order to gain insights it can incorporate into future auto designs. As the company’s big data maturity has increased, its engineers are learning to work with and leverage data, that had previously been to cumbersome to find meaning, thanks to the assistance of big data technology and analytics tools. There are more than 100 Honda R&D engineers who are now trained in big data analytics. Thanks to the sensors on Honda vehicles and feedback from customers, the team is able to make adjustments to the design of its fleet for things they would have never realised were an issue without the data insight. The analytics tools help Honda “explore big data and ultimately design better, smarter, safer automobiles, ” said Kyoka Nakagawa, chief engineer TAC, Honda R&D. As a $200 billion global automotive manufacturer with more than 20 million customers, IBM Watson Explorer helps Honda’s quality assurance division understand the messages and make sense of the enormous amount of customer feedback, mainly unstructured, they receive from multiple sources. It has helped Honda reduce the time required to understand customer feedback by 80%, certainly an essential element to the company’s success. At this year’s Consumer Electronics Show, Honda unveiled its NeuV, New Electric Urban Vehicle. It comes with a personal artificial intelligence assistant, HANA (Honda Automated Network Assistant) who can read the driver’s emotions and adjust the music, temperature and more in response. HANA can also remind the owner of important dates and help make reservations and appointments. Realising that around 96 percent of the time vehicles are in garages, parking lots and driveways, Honda’s NeuV would be an automated ride-sharing vehicle that could be summoned to pick up and drop people off when the owner is not using it thereby becoming more valuable to the owner because it can monetize its downtime. Engineers also envision that NeuV would be able to sell energy back to the electric grid when it isn’t in use. Honda’s concept for the NeuV vehicle combines artificial intelligence, big data and robotics in a way that can transform commuting. In addition to NeuV, Honda built a sports car, Sports EV concept, that uses both artificial intelligence and electric technologies. The Sports EV concept aims to have the driver and car communicate with one another. At the same time Honda is using big data and artificial intelligence to enhance its automotive line, the company’s innovations are also expected to improve our everyday life with the assistance of robots. The latest innovations are dubbed the 3E (Empower, Experience, Empathy) Robotics Concept programme. They are not yet in production, but looking at the concepts, they have the potential to be transformative in many ways. 3E-A18: The most human-like of the four 3Es, A18 can understand the needs of people and will provide assistance to humans in airports, malls and other large gathering places. 3E-B18: This robot can help transport humans, luggage or more delicate items indoors or out. 3E-C18: For indoor and outdoor use, this is the pack mule robot that can carry cargo and learn how to operate autonomously. 3E-D18: This robot is a rugged off-road vehicle intended to help with mundane, time-consuming and potentially dangerous tasks. Its design is based on Honda’s ATV chassis, so it will be able to scramble over obstacles. ASIMO, Honda’s humanoid walking robot, is the result of nearly two decades of research by Honda engineers. It can walk and run, even on uneven surfaces and up and down stairs, grasp objects and can understand and respond to simple voice commands. Development continues on ASIMO and it’s expected to eventually serve a very critical function supporting humans with important tasks. In addition to these robots, Honda also has RoboCas, called the “communication robot of the future” that has a driving function, storage space and can be used for many purposes; the Miimo lawnmower that’s equipped with artificial intelligence; Ie-Mobi, an all-electric vehicle that functions as a small mobile room and the Fure-Mobi concept that focuses on human-to-human interaction with one place for a human to sit and another to stand. As an automotive and technology innovator, Honda is investing in research and development to provide solutions today, powered by big data, artificial intelligence and robotics, for tomorrow’s challenges.